Many people have given up on the church. But that doesn’t mean that they’ve given up on God or Christianity. In many cases, it was merely that local church congregations were not the best context for missional people to live out their sense of God’s call. The good news is that God is raising up vibrant movements of Christians in a vast array of vocations around the world: disciple-making ministries, missions, relief and development, social activism, advocacy and much more. These are all strategic ways to live for the kingdom―in venues beyond the local church. 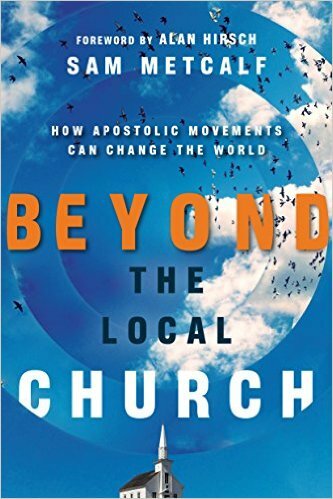 Wherever movements of the gospel have occurred, visionary people and apostolic structures have been essential. Mission leader Sam Metcalf shows how God has always worked through entrepreneurial individuals and organizations that launched out in fresh ways. He gives biblical and missiological foundations for missional movements, showing that what has often been called “parachurch” is an equally valid manifestation of the church. Affirming the strengths of apostolic personalities, Metcalf shows how they can be deployed to cross cultural barriers, renew secular societies and transform the nations with the power of the gospel. God may be inviting you to join what he is doing around the world. Answer the call and discover how God can use you beyond your imagination.